SMA Solar Technologies are the world’s largest producer of solar inverters and monitoring systems for photovoltaic applications. With a wide range of inverters, they have one for every module type and power class including grid-tied, off grid, or backup applications. Renergy Limited have chosen to work with SMA from the Company’s inception. SMA provides high quality products with maximum efficiency and with great after sales service. 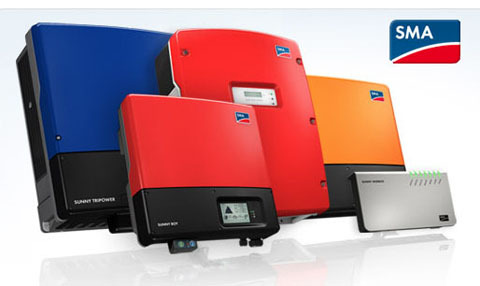 SMA inverters come with a warranty of 5 years that can be extended to 10 years. For more information and specifications on SMA SB 3000TL-5000TL click here. For more information and specifications on SMA SB 1.5-2.5 click here.